Meanwhile, Labour leader Jeremy Corbyn has written to MPs across the Commons inviting them for talks to find a cross-party compromise. He also told Sky that while he “has to see the wording of it”, Labour MPs would be told to vote in favour of an amendment calling for another referendum next week, and he said he may propose another vote of no confidence in the government if the PM’s deal is voted down again. Mrs May says if Parliament votes for her withdrawal deal before an EU leaders’ summit on Thursday, the UK will seek a short delay to Brexit to pass the necessary legislation. “That is not an ideal outcome – we could and should have been leaving the EU on 29 March,” she said. If a deal is not agreed before Thursday, EU leaders are contemplating a much longer delay. Mrs May said it would be a “potent symbol of Parliament’s collective political failure” if a delay to Brexit meant the UK was forced to take part in May’s European elections – almost three years after voting to leave the EU. On Tuesday, MPs overwhelmingly rejected Mrs May’s withdrawal agreement for a second time – by 149 votes. 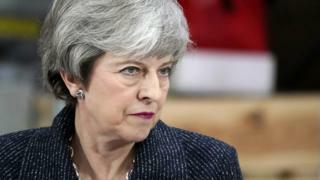 In her article, Mrs May said she had more to do to convince dozens of Tory MPs to back the deal – as well as getting Northern Ireland’s Democratic Unionist Party to drop their opposition. She wrote: “I am convinced that the time to define ourselves by how we voted in 2016 must now end. The DUP, which has twice voted against the agreement, said there were “still issues to be discussed” and it remained in talks with the government. The 10 votes provided by the DUP, which props up the Conservative government, are thought to be key to the prime minister securing her deal. In the letter from Conservative MPs asking others to back the deal, the group claimed there were people “who will stop at nothing to prevent Britain leaving the EU”, adding they would vote for the deal to ensure Brexit went ahead. “We urge colleagues who, like us, wish to deliver Brexit, to vote for the deal and ensure we leave the EU as soon as possible,” they said. Mr Corbyn has offered talks with opposition leaders and backbench MPs in an effort to find a Brexit compromise which could replace Mrs May’s plan. The Labour leader has invited Liberal Democrat leader Sir Vince Cable, DUP deputy leader Nigel Dodds, SNP Westminster leader Ian Blackford, Plaid’s Liz Saville Roberts and Green MP Caroline Lucas. In his letter, he called for urgent meetings to find a “solution that ends the needless uncertainty and worry” caused by Mrs May’s “failed” Brexit negotiations. Meanwhile, Tory MP Nick Boles has pledged to stay in the Conservative Party, despite quitting his local association over an ongoing row about Brexit. 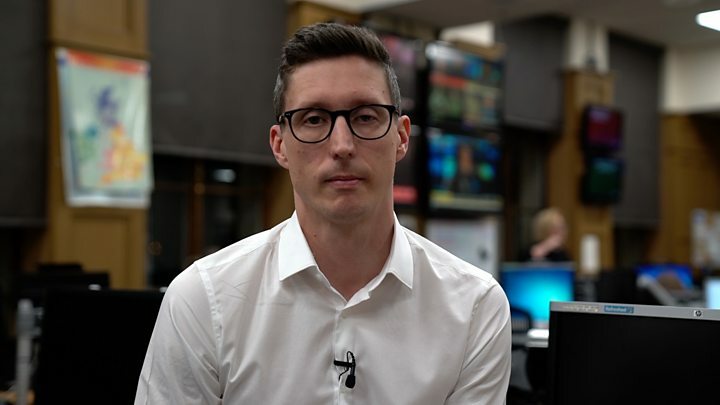 He told the BBC’s Andrew Marr that he would be meeting with the chief whip on Monday to find a way forward, but that he was “not going to be bossed around” by local members.